Building efficiency and speed is critical to modern civil and residential construction. As the population grows, so too does the need for new infrastructure, including roads, bridges, and buildings to house private properties, businesses and essential services. 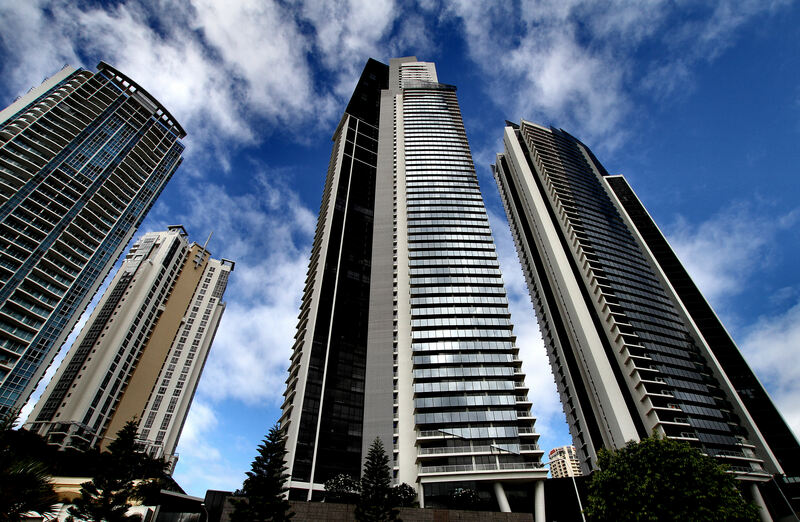 Circle on Cavill on the Gold Coast used a super workable concrete that would compact with minimal vibration. But the need for fast construction and profitability cannot compromise the quality or safety of a build. Strict building codes legislate construction and engineering standards and practices across Australia and continue to evolve as new challenges are revealed and technologies are developed. But one of the oldest construction materials remains the most commonly used across the globe. Concrete is second only to water as the most consumed material in the world, and continues to be used to build everything from drainage, footpaths, roads and railways, to the​ ​tallest skyscrapers and towers​. Concrete’s versatility, enduring strength and rapid installation allows for reduced labour and building costs as well as fast-tracked construction time. At the same time, modern developments in construction techniques, concrete application methods and technological advancements have seen concrete enter a whole new realm of possibilities. In this article, we take a look at just some of the ways concrete is increasing building efficiency, and enabling more durable and faster construction outcomes. The advent of precast panel buildings is attributed to​ ​British city engineer John Alexander Brodie​, who pioneered the method in Liverpool in 1905. 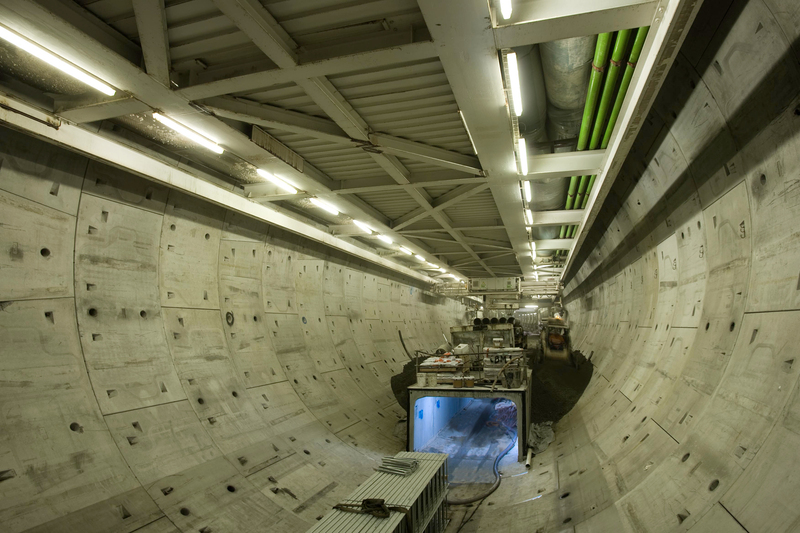 Over 3,700 custom-made box culverts were supplied to create the service duct for the 6.8km long Clem Jones Tunnel in Brisbane. But the process of​ ​pouring concrete into moulds and wooden forms dates back to Ancient Rome​ where it was used to form the underground tunnels, aqueduct systems and catacombs that still exist today. Modern-day precast concrete products range from walls, floors, panelling, beams and stairs, to bridges, arches, culverts, tunnels and towers. It’s also used extensively for landscaping and outdoor applications likes sculptures, monuments and outdoor furniture. The production method allows for maximum efficiency by being produced off-site and protected from the elements, while reducing construction time by ​approximately 75 per cent​. Precast concrete also can reduce environmental impacts by accommodating increased use of recycled materials in production, incorporating thermal mass in design, and minimising noise, air-pollution and debris on-site. Holcim’s ​Humes has been manufacturing precast concrete solutions for more than 100 years​, and is the largest civil precast concrete manufacturer in Australia, employing more than 1,000 people. Self-compacting concrete varieties are being developed to reduce the need for vibrating. Ideal for large-scale and vertical construction, self-compacting concrete is fast flowing and easier to place, reducing labour time and increasing worksite flexibility. Eliminating concrete vibration also lowers excess noise on job sites and improves safety conditions. Holcim’s ​AgiliaTM concrete provides further time-savings with high quality finishes that eliminate the need for patching​ ​and rendering. And its high-flow properties allow for a single pour point for project areas up to 9 metres in length. For maximum versatility, Agilia is available for a range of custom applications, including Agilia Vertical, Precast, Architectural, Foundations and Horizontal. Far from a one-size-fits-all solution, concrete is a completely customisable construction material, and its production processes and application techniques can be tailored to the individual needs of every project. Holcim's Readymix range​ is prepared to order, taking into consideration variables like the project area, function and use of the concrete, slump requirements, and even weather conditions. As a result of continual feedback, ​Holcim ​has also developed a range of special applications for Readymix to further improve efficiency, including Set Control, Fibre Reinforced Concrete, Structural Fill, Sustainable Development, Flowable Concrete and Superspray, which allows for fast application of sprayed concrete,​ ​ideal for swimming pools and civil construction. Spray-applied concrete, or shotcrete, places and compacts concrete in one smooth motion, and allows concrete to be placed in areas that are hard to access with conventional placement. Not all shotcretes are made the same. Some brands get the job done faster and allow trades on-site sooner, while others can slow down the process. Holcim developed Superspray to be fast, efficient, and reliable in keeping pace with construction and urban growth. Combining concrete and technology is creating unparalleled developments in engineering feats, and construction speed. Pavilion created by LafargeHolcim for the Ile-de-France regional authority. Concrete and 3D printing are now being used to build everything from sculptures and bridges to affordable housing in developing countries. Holcim has also explored 3D concrete printing​, partnering with a French start-up in 2016 to experiment with innovation possibilities. 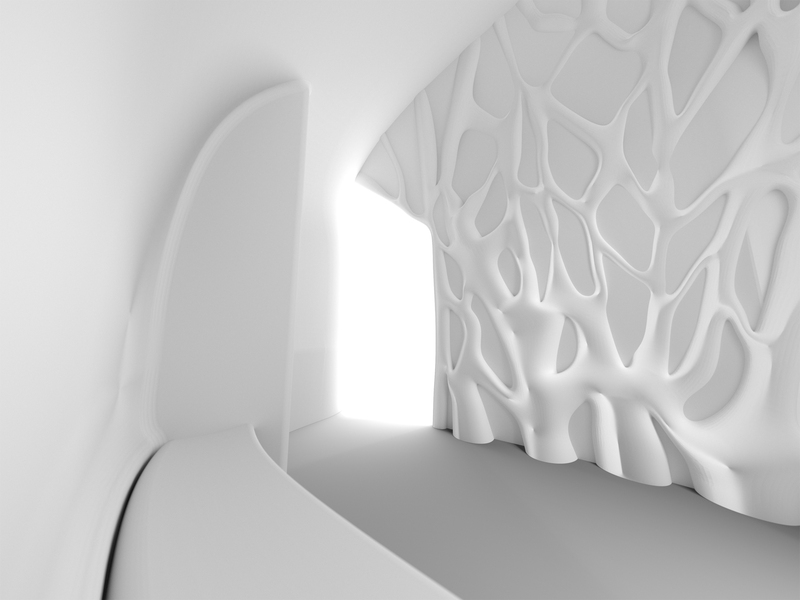 Holcim has since identified three potential markets for 3D printed concrete, including high value-added architecture, construction of affordable housing, and the robotic construction of prefabricated building elements. Introducing the digital revolution to the construction industry, 3D printing allows complex geometric structures to be created with concrete at a lower cost and with shorter production times than currently possible with traditional techniques. These examples are just some of the ways Holcim is improving the building efficiency of concrete, and helping developers, construction companies and contractors achieve their finished projects faster. For more information visit​ ​www.holcim.com.au​.